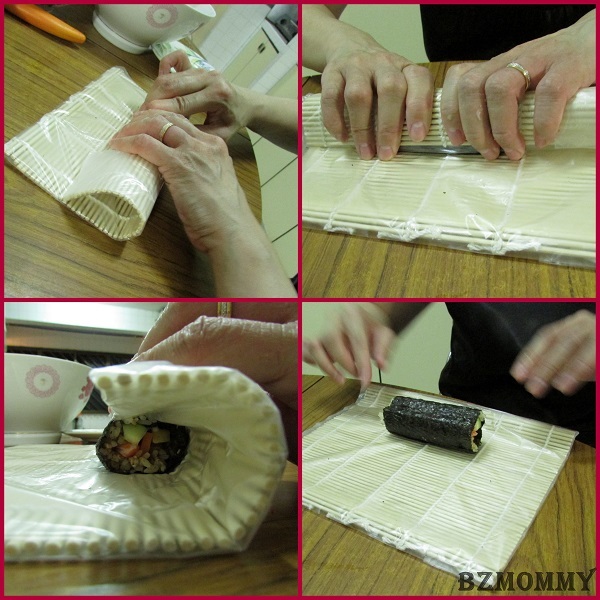 I had always thought that rolling a sushi (or maki) is a difficult task and I will never learn how to make my own sushi. However, I realised that I was so wrong! It was until I went to a learning session and realised that it’s so easy to make some home-made sushi from my own kitchen. Well, of ‘cos the visual aspect of my home-made sushi is not as good as what we can buy from the restaurant, but it does not matter. What’s more, I can involve the kids in the process too! 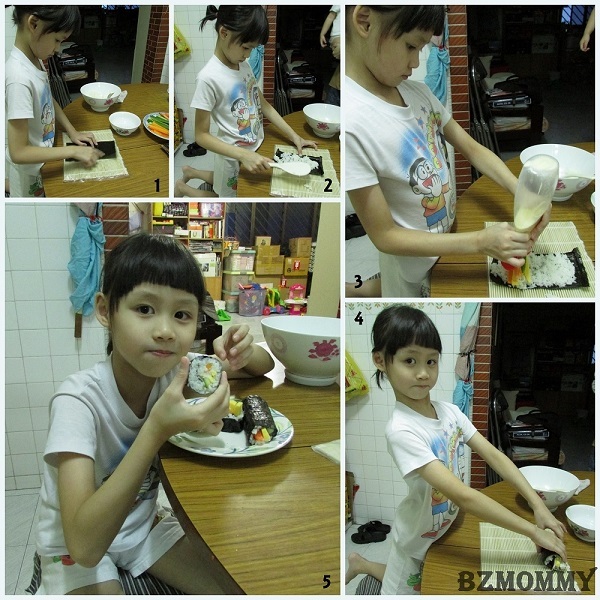 Kitchen Fun Time #4 - Sushi Making! Japanese Rice - Cooked & mixed with Rice Vinegar to become sushi rice. 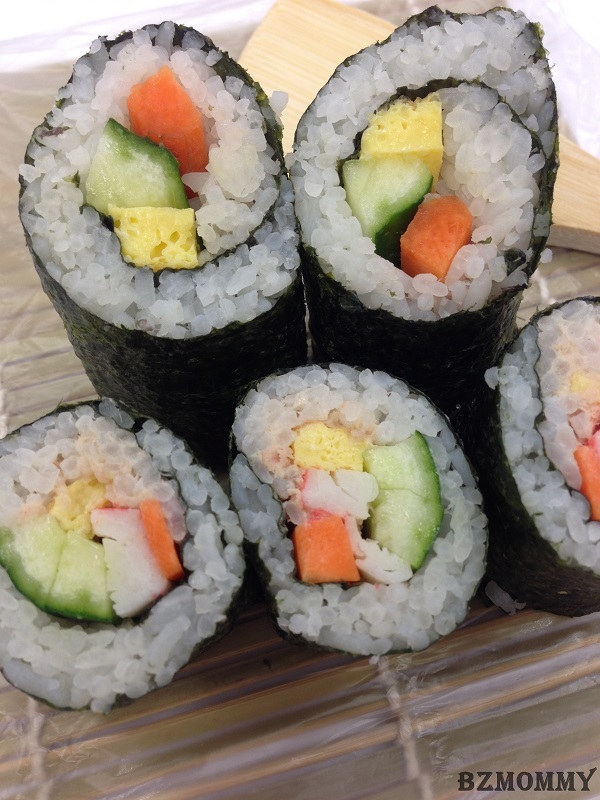 You can also use the Powered Sushi Mix that can be easily found from most Supermarkets. You can use furikake to season the rice instead of using rice vinegar too. 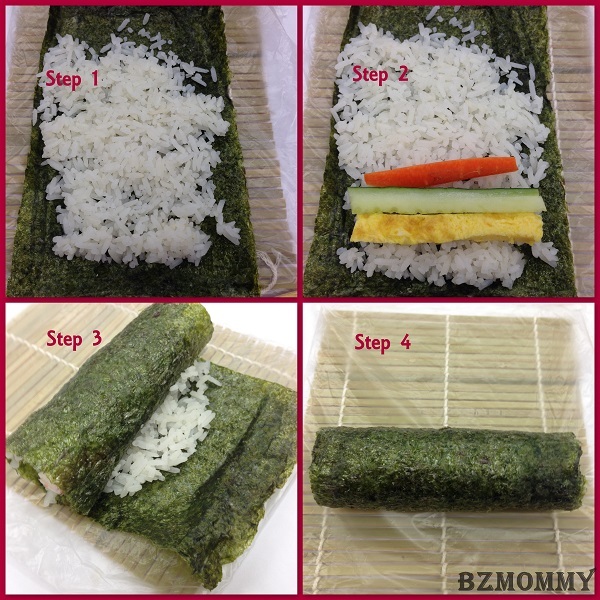 Place the Nori sheet on the bamboo mat. Spread the rice thinly across the nori, leaving some emptyspace on the top. With a firm grip, start rolling the maki. Tap a little (really a little bit will do) water on the top edge of the nori so that it can seal nicely. Use the mat and press on the rolled sushi. This is to "pack" the sushi nicely and complete the rolling process. Moist a sharp knife before cutting the roll in serving pieces. And there you have it, Home-made sushi! It’s that simple that even Dawn can do it! It’s indeed a fun way to engage the children and they get to eat their own sushi. 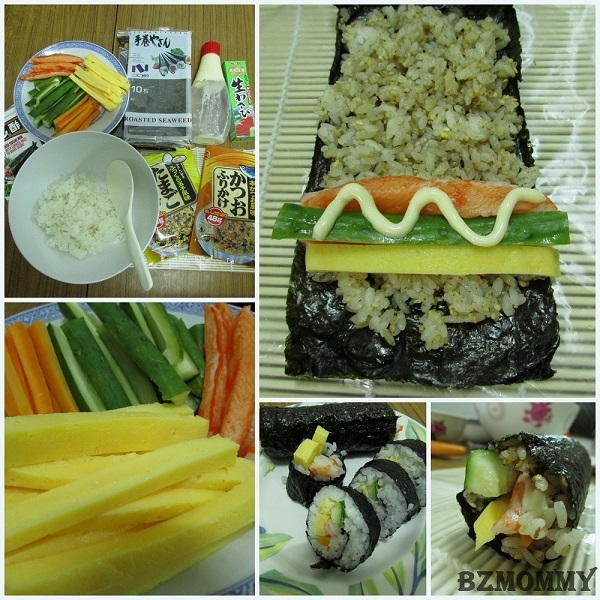 This entry was posted in BZ Kitchen, Child Friendly Recipes, Japanese Dishes, One-Dish and tagged Japanese Food, Kids-Friendly Activities, Kitchen Fun Time, Recipes. ← Kitchen Fun Time #3 – Pizza Pizza!